Calvin Klein's collaboration with the Andy Warhol Foundation remains front and center for its pre-fall 2018 campaign. Against a backdrop of wood paneling and metal walls, models Julia Nobis and Mica Arganaraz pose in the new season designs. Warhol prints can be seen against a metal screen. Outerwear takes the spotlight with puffer jackets, colorful knitwear and plaid coats. 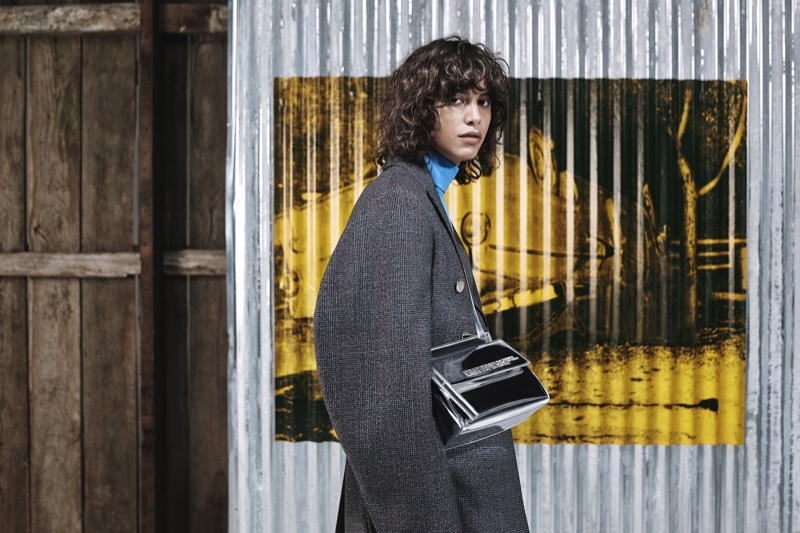 Photographed by Willy Vanderperre and styled by Olivier Rizzo, the advertisements focus on bold color combinations as well as statement bags.